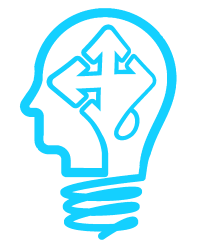 /Courses /Skills /How do I allocate Mandatory Training? 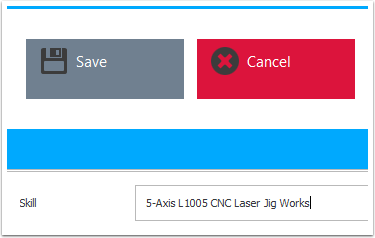 Select the Skills Maintenance menu item. Add a new skill or update an existing one. 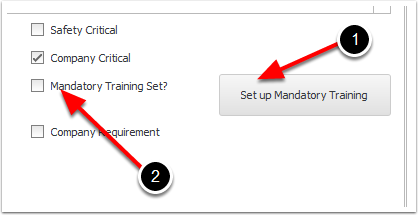 Select the Set up Mandatory Training button. 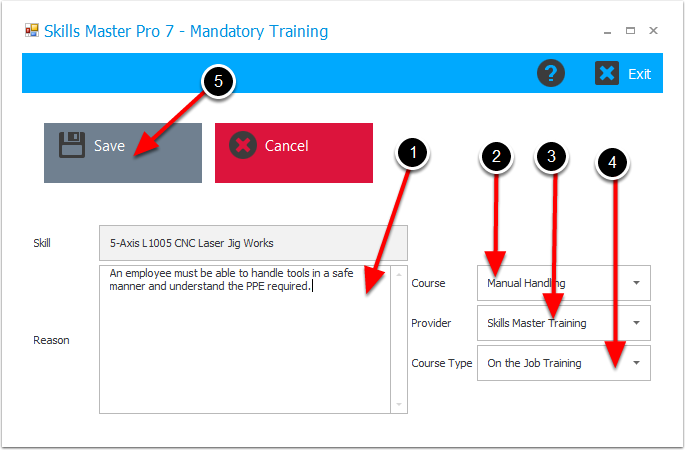 The Mandatory Training Set check box will automatically be set. This will open the Mandatory Training form. 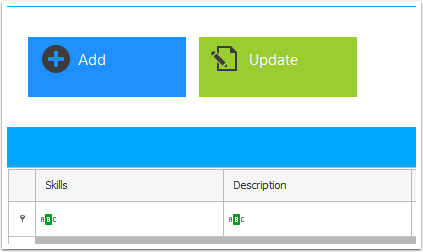 Mandatory Training Set is automatically set if training is allocated. Finally, save the changes to the skill.